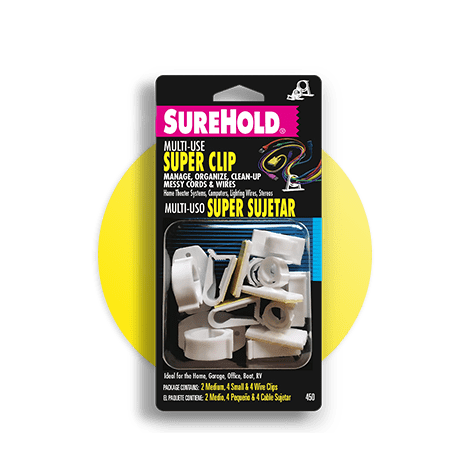 Cable management clips for the home, garage, office, boat, or a craft workshop. Ideal for, computer cables, lighting wires, home theater systems, holiday lights and decorations. Easy to use! Simply peel backing, mount to surface, pull tab to open, load cables, and snap closed.